Awakeri Wetlands and Grove Road Box Culvert, part of the Takanini Stormwater programme. improving and protecting our water quality. Auckland’s water services are managed by two council groups. 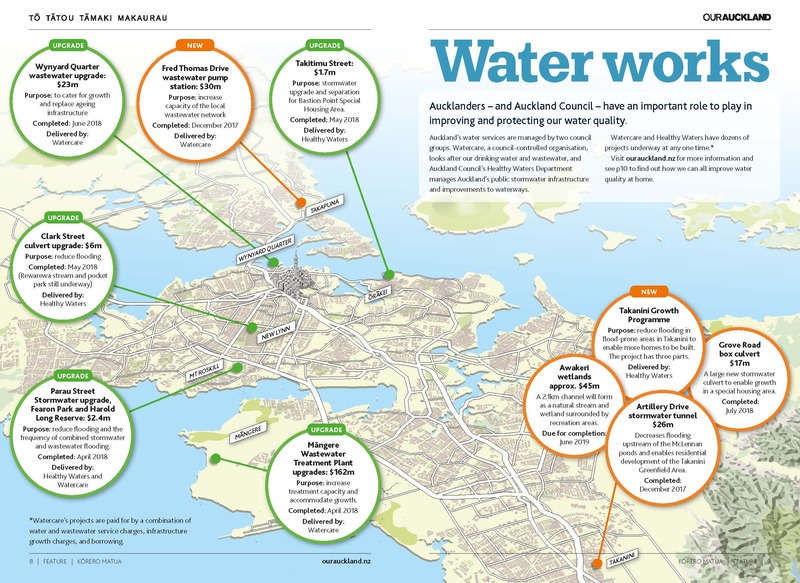 Watercare, a council-controlled organisation, looks after our drinking water and wastewater, and Auckland Council’s Healthy Waters Department manages Auckland’s public stormwater infrastructure and improvements to waterways. Watercare and Healthy Waters have dozens of projects underway at any one time. Here are just a few that have been completed recently. Purpose: stormwater upgrade and separation for Bastion Point Special Housing Area. Purpose: increase treatment capacity and accommodate growth. Purpose: reduce flooding in flood-prone areas in Takanini to enable more homes to be built. Awakeri wetlands (approx. $45m): A 2.1km channel will form as a natural stream and wetland surrounded by recreation areas. Due for completion June 2019. 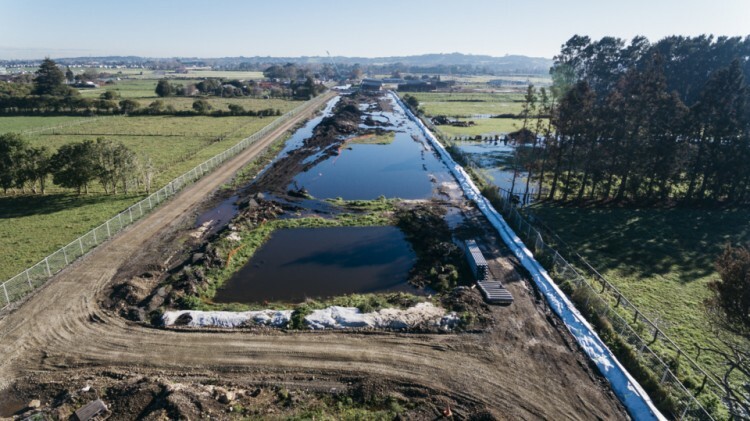 Artillery Drive stormwater tunnel ($26m): Decreases flooding upstream of the McLennan ponds and enables residential development of the Takanini Greenfield Area. Completed: December 2017. Grove Road box culvert ($17m): A large new stormwater culvert to enable growth in a special housing area. Completed: July 2018.